Figure 6.16 highlights the importance of online service quality. If customer expectations are not met, customer satisfaction will be poor and repeat site visits will not occur, which makes it difficult to build online relationships. Note, however, that online service quality is also dependent on other aspects of the service experience including the offline component of the service such as fulfilment and the core and extended product offer including pricing. If the customer experience is satisfactory, it can be suggested that customer loyalty will develop. 5 clear trustworthy privacy policies. Figure 7.13 shows a more recent compilation of consumers' opinions of the importance of these loyalty drivers in the online context. It can be seen that it is the after-sales support and service which are considered to be most important - the ease of use and navigation are relatively unimportant. 1 Driver: order fulfilment. Metrics: ship to target - percentage that ship on time exactly as the customer specified. 2 Driver: product performance. Metrics: initial field incident rate - the frequency of problems experienced by customers. 3 Driver: post-sale service and support. Metrics: on-time, first-time fix - the percentage of problems fixed on the first visit by a service representative who arrives at the time promised. Rigby et al. 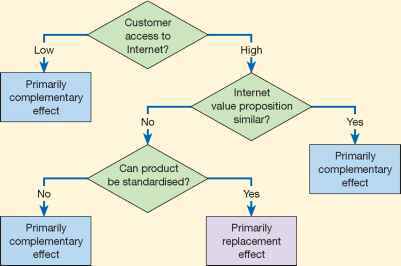 (2000) assessed repeat-purchase drivers in grocery, clothing and consumer electronics e-tail. It was found that key loyalty drivers were similar to those of Dell, including correct delivery of order, but other factors such as price, ease of use and customer support were more important. To summarise this section and in order to more fully understand the online expectations of service quality, complete Activity 7.3.